What do you imagine when you hear Senegal’s forests? 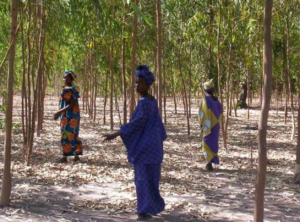 Like most African countries, Senegal is comprised of 45% forested areas that had suffered from deforestation in the late 90s. Its forests had diminished due to felling, fire, agricultural development, and overgrazing. Forest destruction, in turn, had caused soil degradation that consequently lowered agricultural productivity. 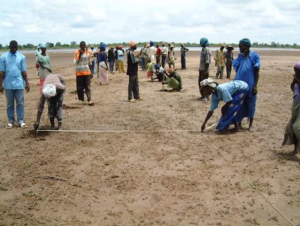 In order to reverse such trend, JICA and the Ministry of Environment, Protection of Nature, Reservoirs and Artificial Lakes of Senegal implemented Integrated Community Forestry Development Project or PRODEFI (PROjet Communautaire de DÉveloppement Forestier Intégré), phase I (2000-2005) and phase II (2005-2008). 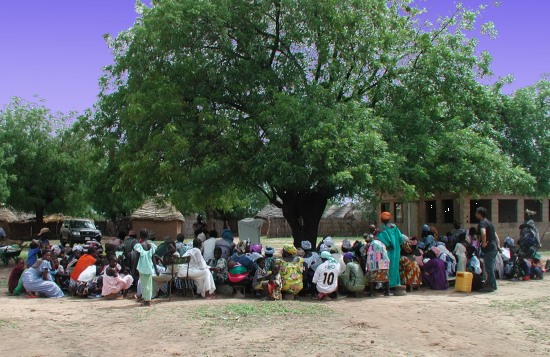 This project aimed to improve the environment and livelihood of local people through promotion of community forestry and income-generating activities by adopting a community-based rural development approach named PRRIE, or Participatory Rural Development and Resource Management by Integrated Training for Equal Opportunity. 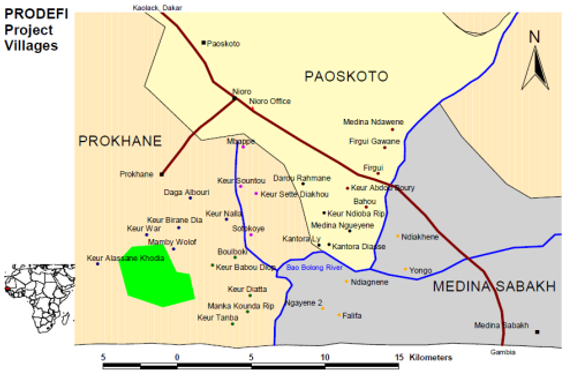 PRODEFI is a project implemented by JICA and the Ministry of Environment, Protection of Nature, Reservoirs and Artificial Lakes of Senegal. It aimed at promoting certain activities of local residents, such as afforestation, that were relevant to natural resource management. 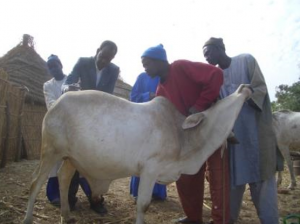 After its 1st phase implementation from 2000 to 2005, the 2nd phase commenced in 2005 targeting 30 villages along the Bao Bolong River in Nioro Department of Kaolack Region. 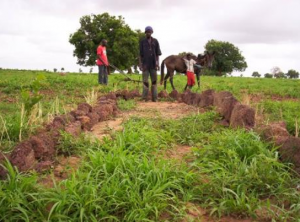 The project aimed to establish a foundation on which sustainable natural resource management activities are carried out by local residents even after the project is over. What activities were carried out in PRODEFI? A community-based rural development approach named PRRIE, or Participatory Rural Development and Resource Management by Integrated Training for Equal Opportunity, was developed through PRODEFI by Mr. Naoto Noda of Hitonomori Co., Ltd. and this had been applied to two JICA projects in Malawi and Madagascar. PRRIE builds the population’s basic capacity by holding a series of trainings as the first step. And seeks for further assistance, as the second step, if people demonstrate positive reactions after participating in trainings. The most fundamental activity of PRODEFI was training. PRODEFI’s trainings were organised based on the following five simple principles of PRRIE to assure equal opportunity for all while realising high cost effectiveness. 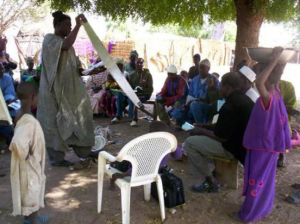 Trainings should i) meet local needs, ii) use locally available resources, iii) be organised in villages where relevant people live, iv) not select the participants, and v) target the majority of people. 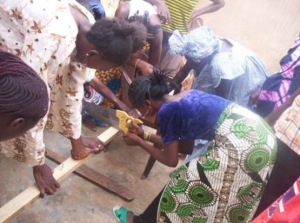 Everyone could participate in PRODEFI’s trainings, so the proportion of local residents who acquired various techniques through training increased accordingly in each village. What happened as a result? 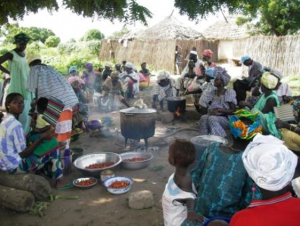 Local residents started to practice the techniques acquired through training individuals or groups in various places in the village and communicating with each other and/or witnessing each other’s success. 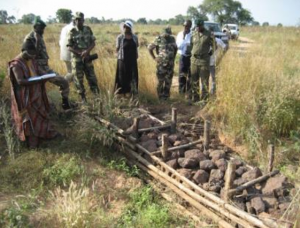 PRODEFI’s training topics ranged from natural resource management activities (such as afforestation, seedling production, and erosion control) to income-generation activities, namely, cultivation and processing of vegetables and fruit trees, and poultry farming. Covering this wide range of topics in trainings, PRODEFI supported the lives of local residents comprehensively. After training, local residents practiced the techniques that they acquired. PRODEFI monitored carefully those resident-led activities, and checked on what kind of difficulties the residents were facing and how they dealt with them. For problems that could not be dealt with by residents alone, PRODEFI provided follow-up support in the form of technical assistance and/or information provision, when necessary. 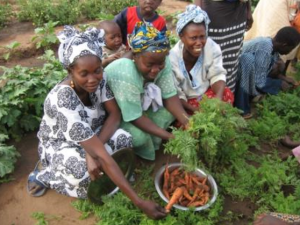 This was how PRODEFI supported local residents aiming that the activities, such as tree planting and vegetable cultivation, initiated after the training are eventually implemented continuously by the residents themselves. 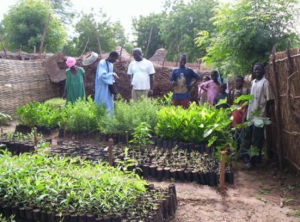 Indeed, 52.8% of the local residents who participated in afforestation training practiced the techniques that they acquired even 1 to 2 years after the training, and as a result 241,000 trees were planted by the residents from 2005 to 2007.